In my role as editor of the Gender and Sexuality section of the Boundary 2 Review (on boundary.org), I recently published this conversation between Adeline Koh and Sangeetha Thanapal, about “Chinese Privilege” and gender in Singapore. 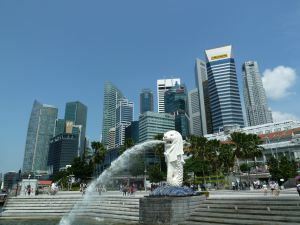 Singapore, a tiny Southeast Asian nation-state, is well known for its impressive economic growth since its independence in 1965. Filled with towering skyscrapers, an impressive, well-maintained public transport system and an unemployment rate the envy of most industrialized nations, the small country is often referenced as a model postcolonial state.